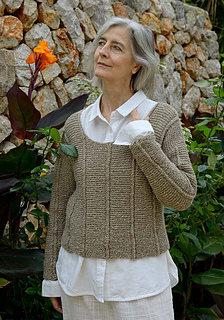 Straight forward knitting with baby cables and garter stitch on a straight sweater. 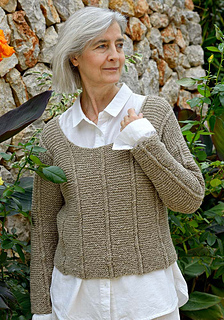 The shoulders are knitted together and the sleeves picked up and knitted downwards, eliminating some of the finishing. The design is planned with 4-6 in /10-15 cm of ease.